Is a High LDL Cholesterol Related to Vitamin D Deficiency? My LDL Cholesterol level is 170. Does this have anything to do with my deficient in vitamin d with a level of 22 ng/ml. I've not seen ANYTHING about vitamin d levels being related to cholesterol levels. But theoretically it COULD help because, contrary to popular opinion, there are MANY who believe that high cholesterol levels are more related to INFLAMMATION than simply having some random disorder of cholesterol metabolism that you have no control over. And Vitamin D can help to reduce inflammation, which is one of the reasons why it may help such a variety of problems. But if you have such high cholesterol, you really should take a look at why some doctors are saying that the whole cholesterol issue is a complete farce. One former cardiac surgeon talks about it in his book, The Great Cholesterol Lie. It's a SERIOUS eye-opener that gives you an ENTIRELY different 'take' on the fiction of cholesterol that doctors have been spouting for the last 20 years!! Comments for Is a High LDL Cholesterol Related to Vitamin D Deficiency? I am amazed to hear Kerri say that she has not seen anything linking high cholesterol LDL to a deficiency in Vitamin D. You only have to google this to see many articles about the subject. 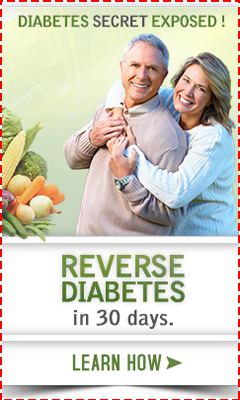 I have high LDL and a Vit D deficiency and have started to research the subject. Heather's article was not helpful. Googling this subject turns up a few articles on people stating that they might be related and a few people stating both that their cholesterol went up when they took vitamin d and a couple that stated that their cholesterol went down when they took vitamin d.
I've actually RESEARCHED this subject extensively and did not 'google' it until you said what wonderful information you found by Googling it. 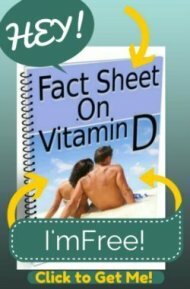 Aside from the fact that cholesterol in your skin produces vitamin d, in my actual research of actual studies, I've found nothing linking high cholesterol levels and vitamin d. It's actually more likely that a cholesterol deficiency could lead to vitamin d deficiency rather than vitamin d deficiency causing your cholesterol level to go up. In your 'research', if you've found any actual research studies linking the two, I'd be very happy to hear about it so that I can post it here and inform people better. But what you SHOULD be interested in looking into is the complete lack of any science regarding cholesterol levels and heart disease. So, if your doctor is trying to put you on statins, you'd do well to take a look at the Great Cholesterol Lie program that will teach you about the REAL reasons for heart disease risk and what to do about it. That high cholesterol causes heart disease is a complete myth.